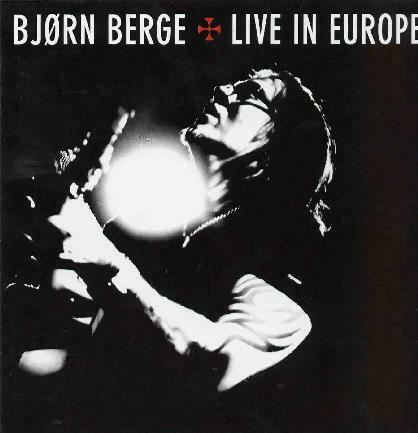 Bjørn Berge - "Live in Europe"
Bjørn is a solo acoustic guitar player from Norway and a real showman. I saw him perform at the Roskilde Festival and he can really kick up the crowd into a frenzy. He is a damn good player as well with some great picking tunes and a wide range of stuff from blues, slide boogie, 12 string guitar stuff, as well as rocking out doing Motorhead with slide guitar! The CD features 19 tracks in 75 minutes. Half the songs on the CD are originals and half are cover songs. Most of the CD was recorded live in Brussels Belgium in February 2007 except the last two tracks which are from Paris 2005. It also includes a live DVD, most of which was recorded in a club in Oslo some years ago. Not a recent performance, but a few tracks are also from a large festival in Italy. Let's just say that if you are a fan of Bjørn you will dig this and if you have not heard him but you like foot stomping, fast strumming blues based acoustic guitar then you will dig this guy. Good fun. Great version of Ace of Spades by Motorhead as well.